No1 & No2,Land for sale 25000 square meters. Amphitheatric-panoramic view. Buildable and tangent to the rural road, Suitable for tourist business. mountainside, overlooking the sea and the port of Prinos it has a wonderful view. There is an asphalt road in front of it. 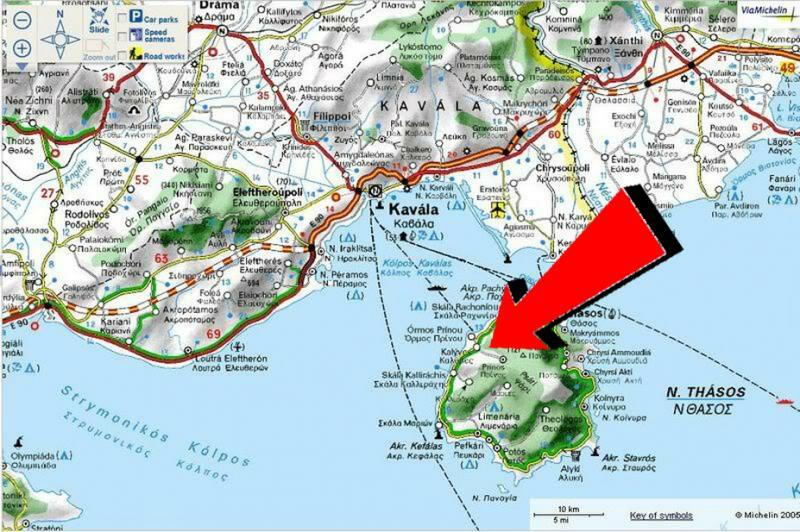 The plot lies in the middle of 2 settlements village Rachoni ( 1,5Km) and Skala of Rachoni (1,5Km). The distance from the plot to the sea is (~1,5Km). The distance from the plot to the port of Prinos is 5Km.